2001 Ford Super Duty F-450 XL ONE OWNER * CLEARANCE PRICED!! 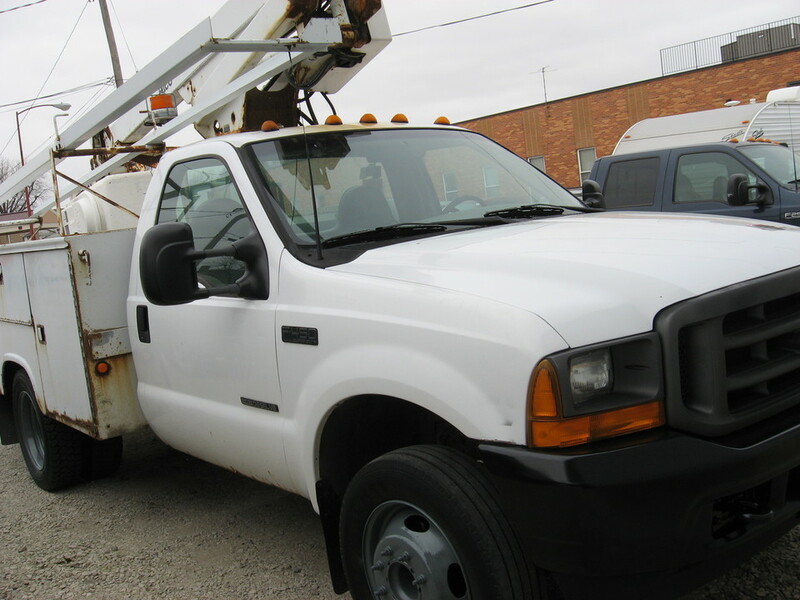 2001 Ford F450 Super Duty XL Regular Cab Bucket Truck * 7.3L V8 Diesel * AM/FM Radio * A/C * Hot Heat * Manual windows * 1 Owner * Good CarFax * Lots of service records * No accidents * Control bucket from the bucket or on the ground * Good tires * Lift mechanism in good working order * One of the smoothest lifts we have had * Approximate bucket height 34' * Hydraulics run off truck * Lots of uses for this truck!! !